Need help finding resources to use in the classroom? 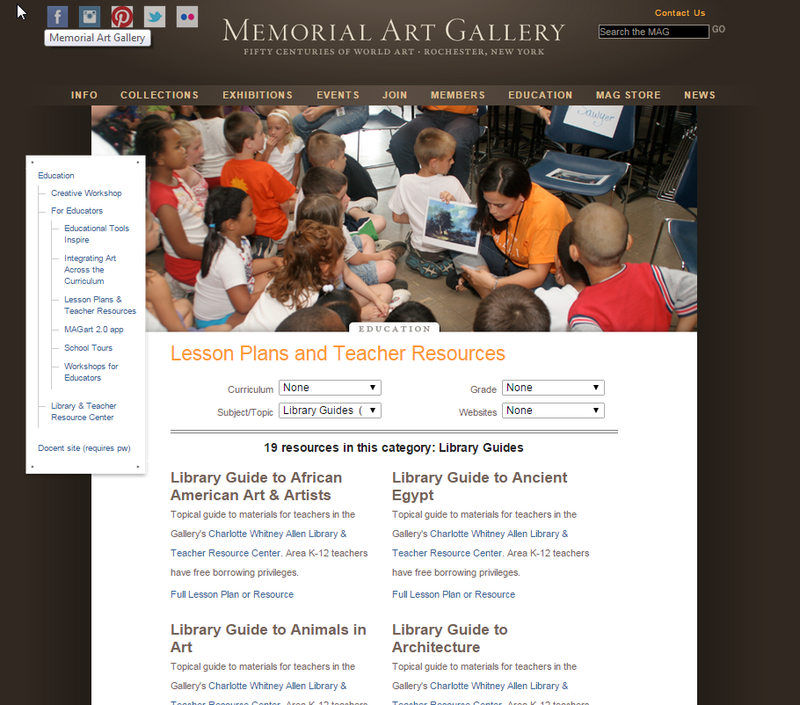 Search for “Library Guides” under the Subject/Topic pull-down on the Lesson Plans & Teacher Resources page for suggestions! We’ve chosen material from our collection of children’s books, kits & posters, videos & DVDs on topics from African American Art to Women in Art. Each guide includes links to the Library’s online catalog so you can see what’s available to borrow.